Sometime you see Office 365 services for one user, but their colleague sitting next to them is not seeing this service?! Where can you find your assigned licenses to know which services you are able use? And where does your administrator assign these licenses? NOTE: please note this article is written on February 16, 2016. The subscription structure might change after this date, please verify in the Office 365 Admin Center if this is still applicable. Where can I find my Office 365 licenses? To check the licenses assigned to your personal account visit the page https://portal.office.com/account/#subscriptions. This page shows the assigned subscriptions/licenses together with the services enabled per license. Where does my admin assign licences? 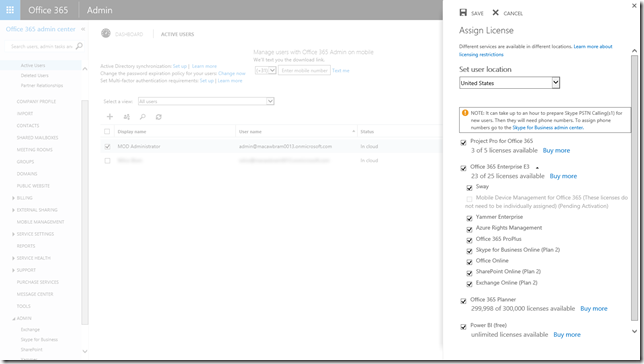 Assigning licenses is done by the Office 365 administrator in the Office 365 Admin Center. You need to have the appropiate role to access the “Active Users”-page. The Office 365 subscription plan is the basic license which a user requires to access services in Office 365. 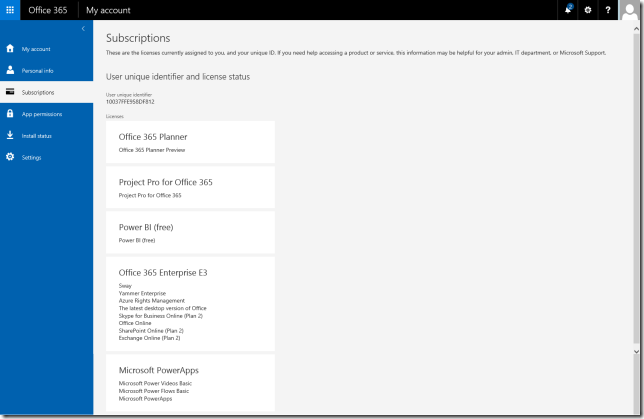 Microsoft provides different Office 365 Business plans but in this article I use the Enterprise E3 license as an example. The Enterprise E3 license includes the following services, which can be enabled or disabled on a per user base. By enabling and/or disabling the service the App Launcher is impacted. Some services have an impact on more than one App Launcher tile. Next to the Enterprise E3 license other licenses are included as well in the list below.